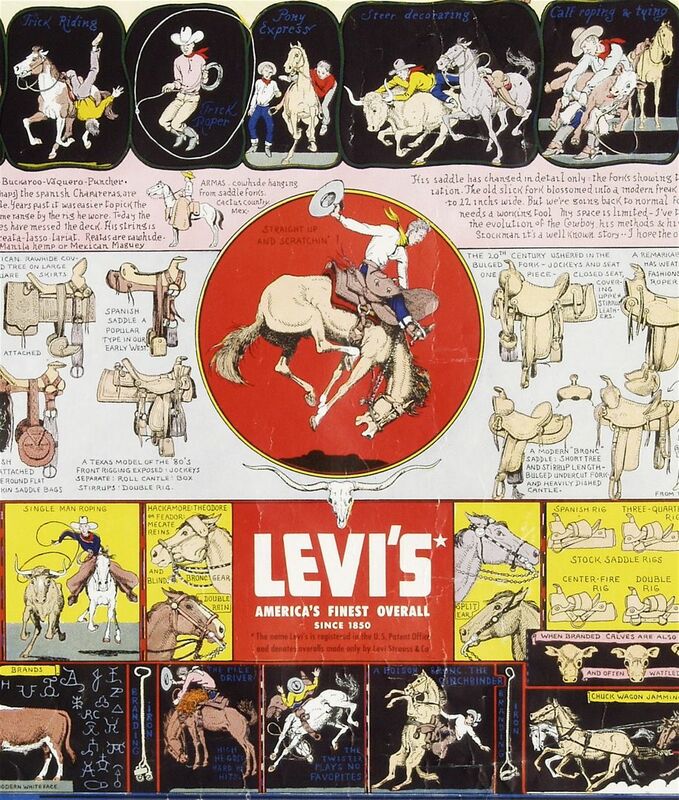 First saw this last summer in the window of a print gallery on Grant St. in San Francisco (they had the 1950s Levi's printing "Levi's Round-Up of Cowboy Lore." We stared at it for a good while. 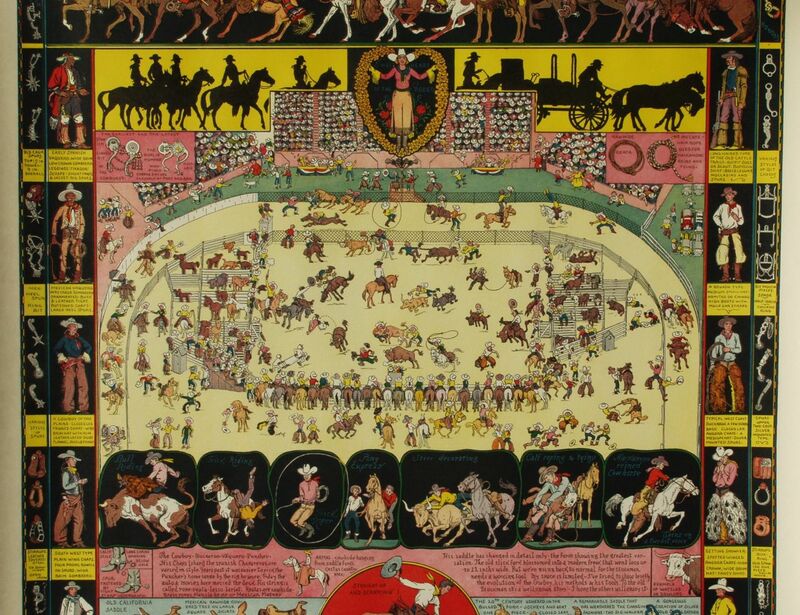 Most will recognize this work from the cover art of the Byrd's classic 1968 album Sweetheart of the Rodeo. 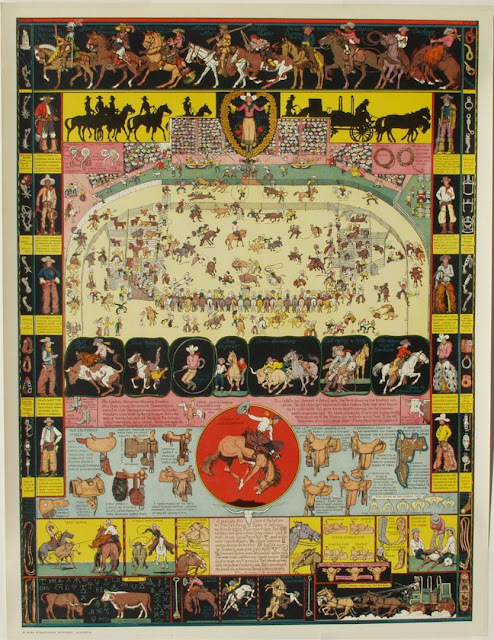 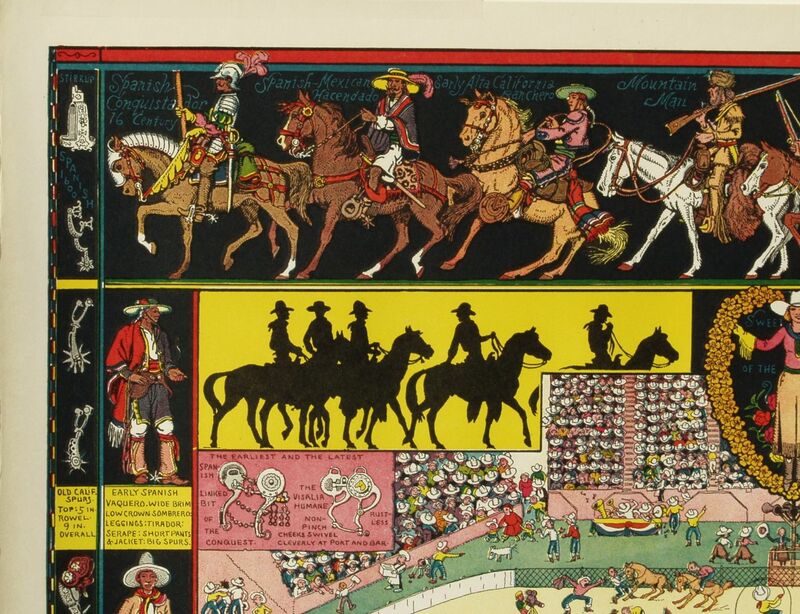 Jo Mora (1876–1947) was a Uruguayan-born illustrator, writer, sculptor, painter, photographer, muralist and cowboy. This was printed by Arthur Fay in San Francisco, CA, and used to advertised for the Salinas Rodeo and the Beef Council as well as Levi Strauss.